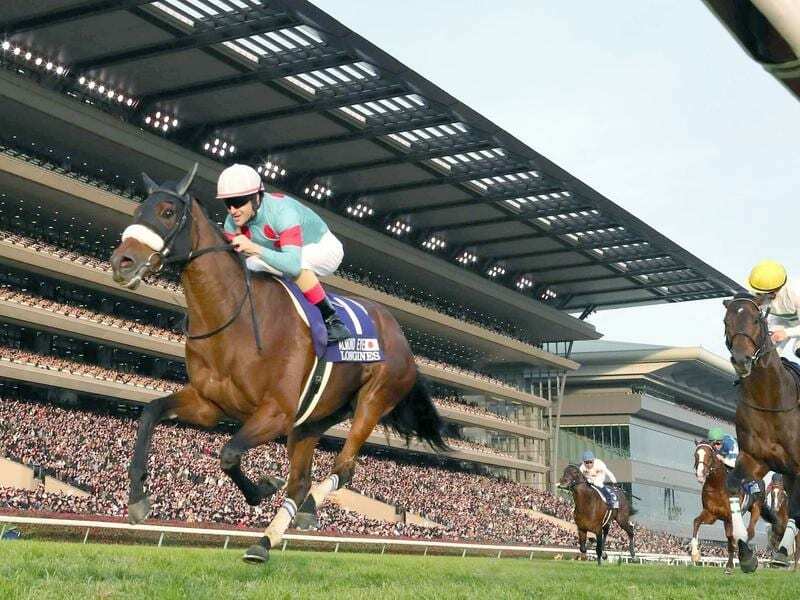 Almond Eye (L), ridden by Christophe Lemaire, has won the Japan Cup in record time. “I had every confidence in her potential and she was in great form coming into the race,” her trainer Sakae Kunieda said. Lemaire admitted to a few nerves but said the filly delivered as he knew she could. “Personally I feel relieved to have won because I knew she had the potential to win but”you never know what might happen in the 2400 meters,” he said. “Today I was a little bit anxious, but I think we saw the best Almond Eye in the race and it was a great show. “I don’t really like the inside number one draw because it is very hard to make a plan and can depend on how you break. I didn’t want to put too much pressure on her out of the gate. “She broke well, and I saw that Kiseki was taking the lead which was good because Kiseki is a good horse and a leader with a good pace, so I had the best leader for Almond Eye and was happy with how the race went.